We’ve all seen the Tecno Spark 3 coming in two variants this year. Many have wondered if there is even a Pro version of the Spark 3 series since there are already two on ground. Just like sitting in a mid-size sedan with massive leg room feels very comfortable, Tecno Mobile wants you to be comfortable for as long as you can imagine, at least before her next Spark launch. Tecno Mobile didn’t forget to drop a Pro variant. 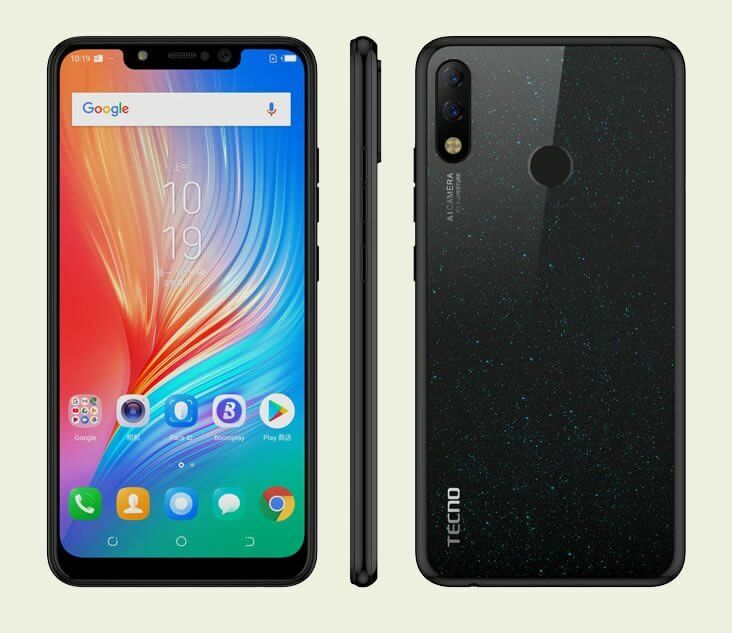 They introduced the Tecno Spark Pro which is considered the most powerful and also the most expensive variant in the Spark 3 series of 2019. 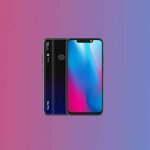 Tecno Spark 3 Pro is here for good, it was released the same day the Spark 3 was unveiled and is coming into the market with some features that may put you in a state of gamble. 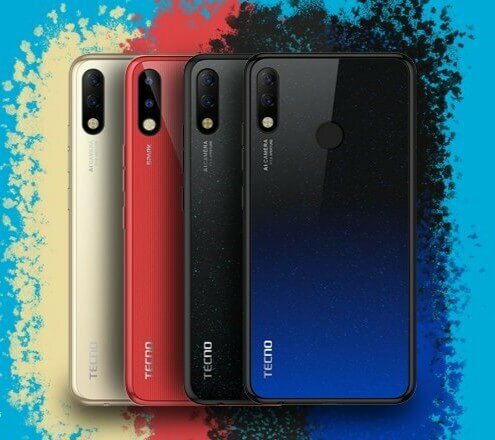 In Nigeria, the Tecno Spark 3 Pro is available in Midnight black, Champagne gold, Bordeaux red, Aqua Blue and Nebula black. 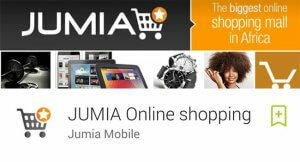 It is selling at an affordable price in Nigeria. We were all expecting to see a bigger sized Spark 3 Pro but Tecno Mobile surprisingly presented the same sized Spark 3 variant with 155.3 x 75.8 x 8.15mm dimensions and called it the Spark 3 Pro. The Tecno Spark 3 Pro has exactly the same external feature as the Spark 3 variants but what’s available on the inside is what set it apart. Am going to talk more on that later. As expected, the Tecno Spark 3 Pro comes in an all new luminous crystal design that features a polished glass at the back and gives you a feel of beauty when held in the hand. The Tecno Spark 3 Pro now comes with a notch at the top. 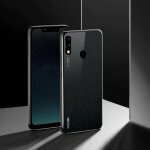 At the back is where we have the fingerprint sensor, a vertically placed camera shooter and of course an attractive Tecno brand name around the bottom. The Tecno Spark 3 Pro comes with a 6.2inch super full view HD+ display and a remarkable screen-to-body ratio. The 6.2 inch display now gives room for more clarity considering her 1500 x 720 pixel resolution. The Tecno Spark 3 Pro display is an LCD screen and LCD screens are good with battery management. The overall rating of the display is awesome. It is crips, clear, sharp and vivid. You are definitely going to love gaming, watching movies and even reading with the display. 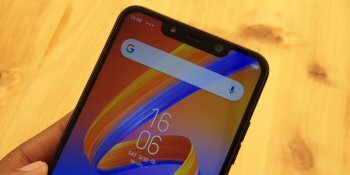 Just in case the notch get to stand in your way at the top, you can choose to hide it by activating some settings. The battery size on the Tecno Spark 3 Pro isn’t any bigger, it comes with the same 3500mAh non-removable battery we saw on the Spark 3 in Nigeria. The Tecno Spark 3 Pro 3500mAh battery is sufficient to power the phone, if well managed, it can serve for a day or two with just a single charge. The Tecno Spark 3 Pro makes you sparkle in every picture you take in Nigeria. This is also a camera centric smartphone remember! Those who are still using the Spark 2 would understand my point. 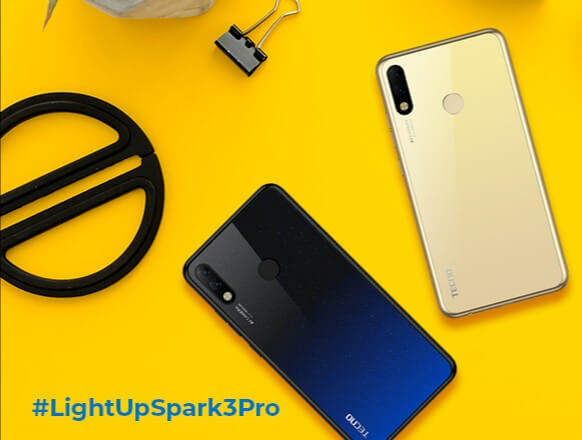 On the Tecno Spark 3 Pro is a newly upgraded dual 13MP rear AI bright camera with ring flash, intelligent image processing and outstanding depth of field effects. The camera in front of the Tecno Spark 3 Pro is an 8MP selfie camera that comes with an adjustable flashlight which helps in capturing the perfect moment anywhere you are in Nigeria. The camera on the Tecno Spark 3 Pro comes with a good number of camera features like portrait mode, light mode, sport mode and surprisingly an AI beauty mode that amplifiers your true beauty. The general camera performance is commendable, Photos taken with the Spark 3 Pro are bright and clear, this is because of her built-in filter that helps to beautify the expression even in low-light. Remember I once talked about the Tecno Spark 3 Pro being the boss on the inside? Am going to shed more light on that this very moment. On the Tecno Spark 3 Pro, there is 4G connectivity which sets it apart from the Spark 3 variant. Browsing with this smartphone would definitely be a thing to remember. So if you want to spend less time on downloads, I think you still consider this smartphone. This feature is exclusive to only the Spark 3 Pro variant. Also available on the Tecno Spark 3 Pro is a 2GB RAM and 32GB ROM with support for micro SD card just in case you need more space. 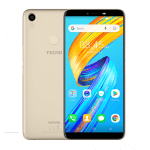 The Tecno Spark 3 Pro runs on a 2.0Ghz quad-core processor and comes with Android 9.0 pie Operating system that is based on Tecno’s slick HIOS 4.6 UI for better interactive user experience. As expected, there is fingerprint scanner and face ID feature on the Tecno Spark 3 Pro. Both security features work really fast but if you want maximum security, I suggest you go with the fingerprint. The Tecno Spark 3 Pro comes with some vital sensors like G-sensor, ambient light sensor and proximity sensor. For better user experience, Tecno mobile is offering 12 + 1 month warranty when you buy the Tecno Spark 3 Pro in Nigeria. I guess i have said it all, the Tecno Spark 3 Pro is absolutely going to be the Ideal smartphone for just a few. This is because not everyone would mind the extra stuff. Aside featuring an android 9.0 pie OS, the Tecno Spark 3 Pro also comes with 4G connectivity, this is something I don’t mind paying more for. If you have handled a smartphone with 4G LTE, you won’t mind the cost. You will definitely choose the Tecno Spark 3 Pro over her lower variants in Nigeria. You know data is life and time is money.